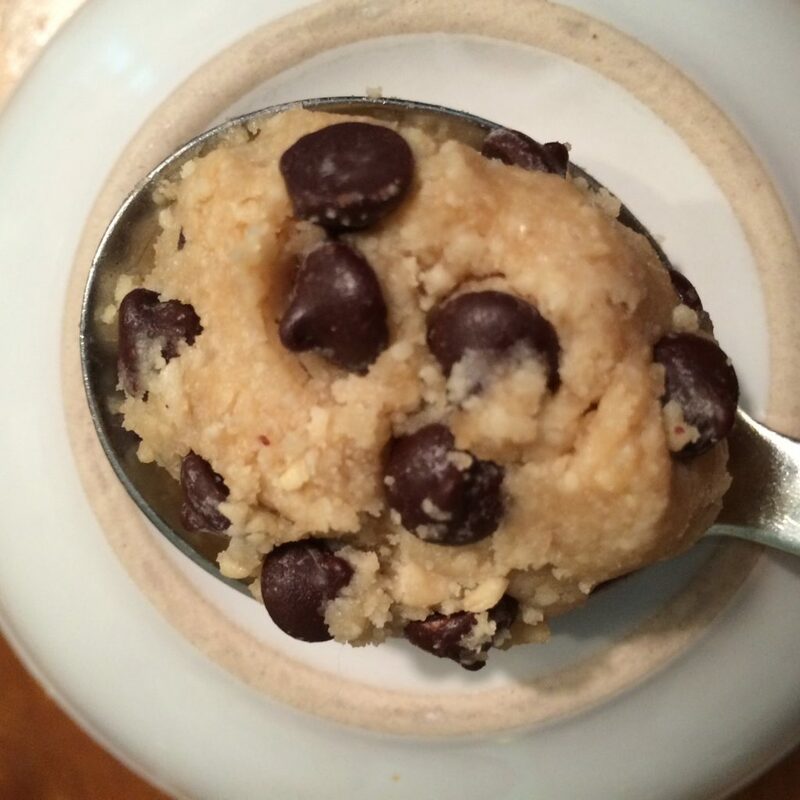 Feeling like just a spoonful of cookie dough? This “cookie dough” is sugar free, flour free, and dairy free. Intrigued? This tiny treat is made from cashew butter, stevia, vanilla extract, sea salt and stevia sweetened dark chocolate chips. When you’re looking for just enough and just the right ingredients, it sure beats making a batch of cookies! mix ingredients well with a fork. add chocolate chips.